Situating Soka Buddhism within world history, this book defines a curious and esoteric religious sect. 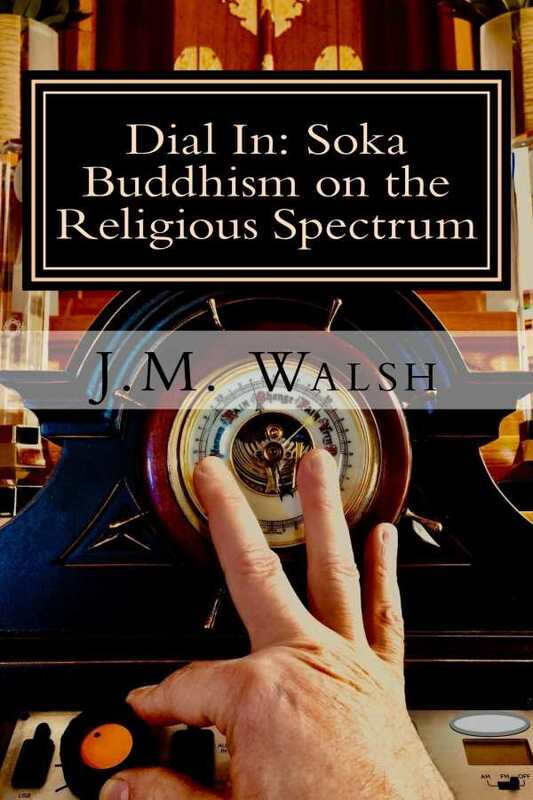 J. M. Walsh’s Dial In employs the metaphor of a radio dial in its discussion of Soka Buddhism, arguing that one must tune in very carefully to really locate this highly specific religious station that is surrounded by so many other channels. In its estimation, Soka Buddhism is situated at the complicated end of world history, and comprehending its putative abstruseness requires an intense teasing out. As revealed by the text, Soka Buddhism was established in Japan in 1930 as a modern and relatable form of Buddhism. It draws from a form of Buddhism that was taught by the thirteenth-century Japanese reformist priest Nichiren. The book locates this Buddhistic branch among the world religions, including Hinduism, Islam, Christianity, Daoism, Zoroastrianism, Confucianism, and Judaism; they all played a part in its syncretic formation. With a vast and sweeping exploration of the world’s religions, beginning with early Semitic traditions and a classic account of Mesopotamia as the cradle of Western civilization, the book unpacks the major points of an avalanche of world history. Its analysis is detailed, rigorous, and authoritative. The book itself could almost be used as an introduction to Western civilization, but it eschews any claim that it is an academic monograph. Its proclaimed objective remains showing how Soka Buddhism is a practical way of being a Buddhist in a contemporary world. Today, it says, devotees don’t always have time to meditate, let alone retreat to a Buddhist monastery for endless contemplation. While the book does ultimately arrive at this point, it takes a long time to do so. Its thorough histories do not detract from its quality or impede its argument, though Soka Buddhism is somewhat buried among other work; the tradition is introduced piecemeal along the way. The book is written in a patient, plain style that effectively conveys much information with neither confusion nor pretentiousness. Its tone is importantly focused on communication rather than dazzling the audience. The last chapter finally addresses Soka Buddhism explicitly, with the superabundance of previous information logistically accelerating to the book’s final moments. There is no big bang, however; Soka Buddhism, as presented, seems like an esoteric tributary of Buddhism that, as a twentieth-century instantiation of the religion, has had its share of infighting, doctrinal division, and organizational rough patches. There is no immediacy, concision, or clarity to its presentation. Given the specialized nature of the religious tradition, as well as the thousands of years of linguistic, cultural, and religious complexity behind it, a bare-bones presentation may not have worked, but the book still eludes a straightforward presentation of what, exactly, Soka Buddhism is. Dial In contains a definition of Soka Buddhism despite its lack of a final, organizing punch, providing a sweeping epic of the world’s major religious categories along the way while also exploring the complex linguistic, historical, and cultural strains that culminated in this curious sect.